You know, it’s been 10 years since the time and reason-bending conundrum that was Lost got all up on our grill, and I would think that by now we all know it’s been 20 long years since the Friends bagsied their favourite orange couch in Central Perk. It must be added then that 2014 heralded the 30th birthday of TM and CM your two favourite mice. 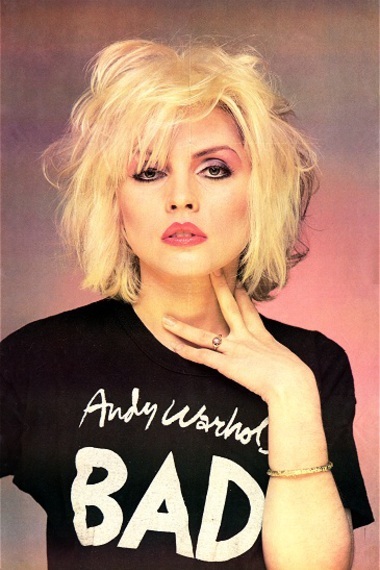 But more important than any of that, this year marks the 40th anniversary of pioneering band Blondie. 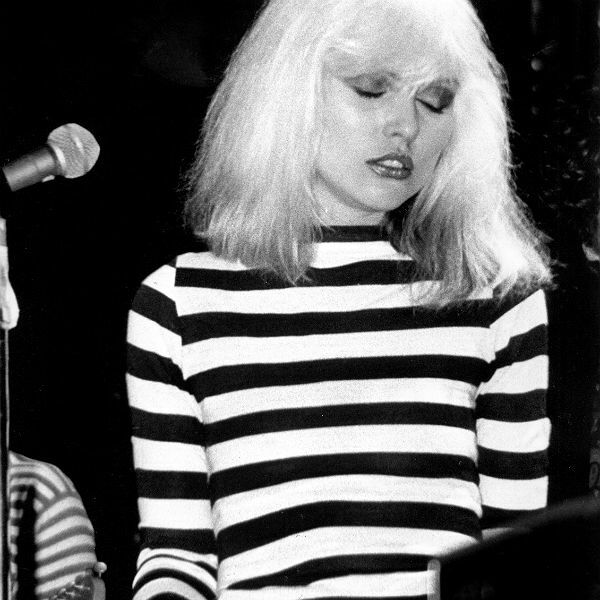 Blondie came to fame in 1976 with their first album when front woman Deborah Harry was 31, and from then on she’s been one of the most iconic figures in music history. Her platinum shag, take-no-prisoners attitude and well-honed but innately stylish look have long been emulated, with their timeless appeal. On that note, let’s see how Debbie might interpret a selection of this season’s trends – perfect for those of us who like a nod but would appreciate a little alternative inspiration! We all know it’s not going away any time soon. But if you were in any doubt about the Canadian Tuxedo, see above to make up your mind. Another trend that just won’t go away, Debs of the past and present has made it work for her! Along with grey, cobalt blue is the colour of the season. Go all out in a playsuit (complete with diamond cutout! So hot right now. Seriously) to edge up the look. Yes, Harry’s hayday was in the 70s but the rave culture was inspired in no small way by the pop-punk culture Debbie made her own. Superimpose this image of her into a 90s pic and you’d never tell the difference. Just wonder where she got her rad glowstick wig. Technically the suit look is more matchy and masculine than the tuxedo sported by Debbie in the picture above. But look how cool! Who wouldn’t covet a woolen roll neck sweater after seeing Deborah model this one so exquisitely? 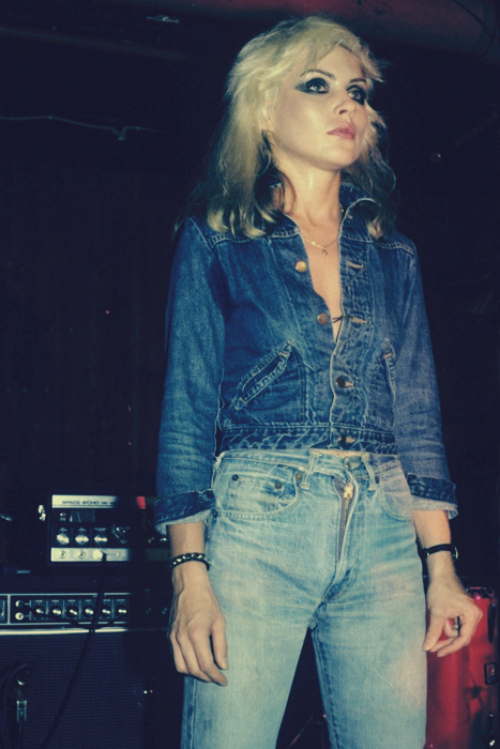 This is also about as Normcore as Debbie will get, so take note of how she does it! The slightly pilled nature of the wool totally makes it. Just adding this one because I love the hair. And t-shirt. And everything. Because Debbie’s such a 70s chic we won’t be seeing her in any 60s Mod looks or Folky Glamour or even anything Oversized, skimpy and/or perfectly fitting silhouettes has always been and still is her calling card. And with a card like hers you can be sure that no one will be leaving you Hanging on the Telephone!